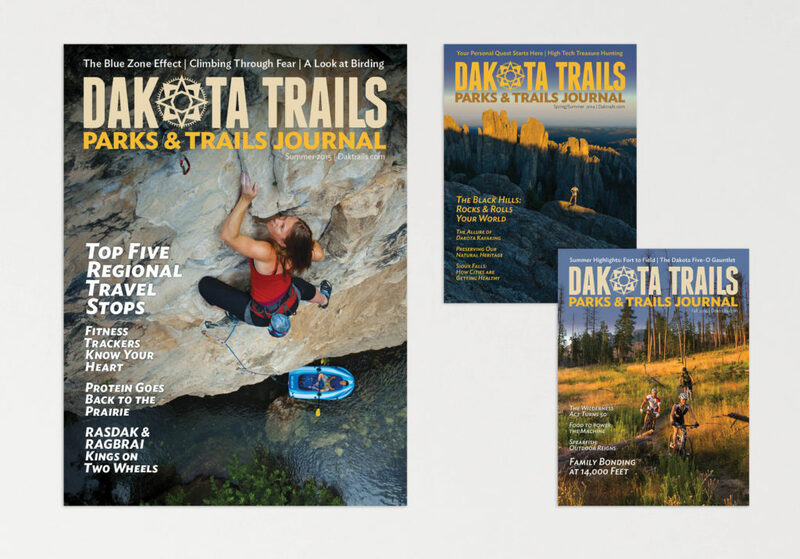 Another collaboration with TSG Marketing, Dakota Journal was a biannual special interest magazine focusing on regional outdoor recreation and fitness. 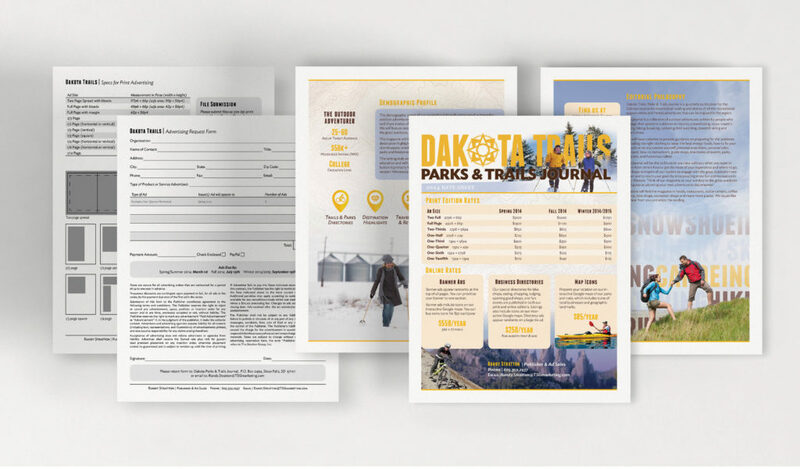 The startup publication needed everything from the nameplate to media kit designed. 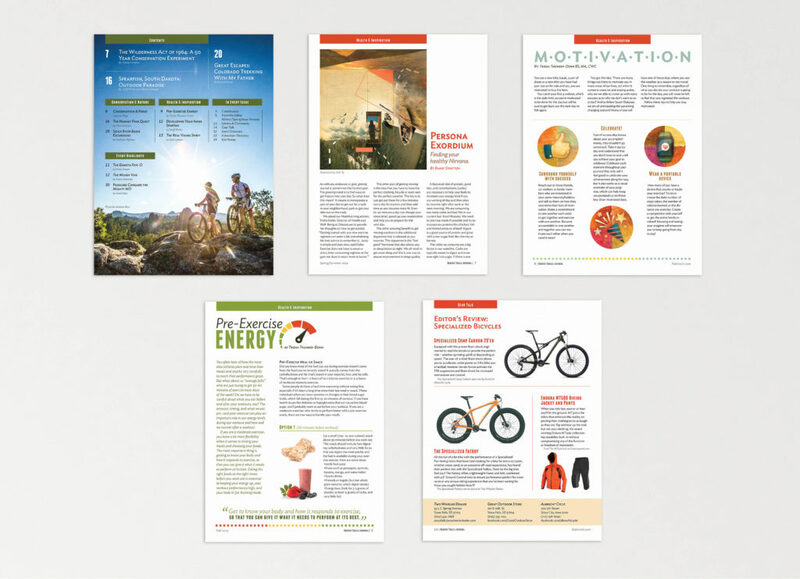 The magazine features a flexible modular grid that accommodates a large range of ad sizes and design possibilities. Covers. Photography by Andrew Burr. A sampling of contents and department pages. 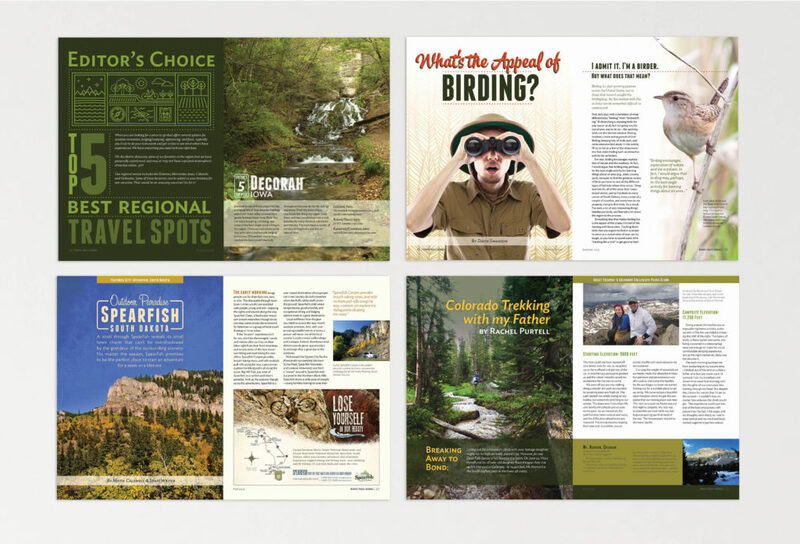 A sample of feature spreads.